Genuine pedal powered car, complete with lights and horn, just like the one’s that featured in the film. It would suit either Dandy Dan or Fat Sam’s gang. Bugsy Malone car hire starts at £275 per week. Delivery is £120 +VAT each way for it’s pallet delivery and collection within the UK. Contact us directly if you’d prefer to arrange your own transport for the Bugsy pedal car. NB: If hiring the pedal car, it is very important to read our terms and conditions regarding its transport and storage. There is also only 1 car and therefore if it is already booked out for the dates you require, we will let you know within 2 working days. 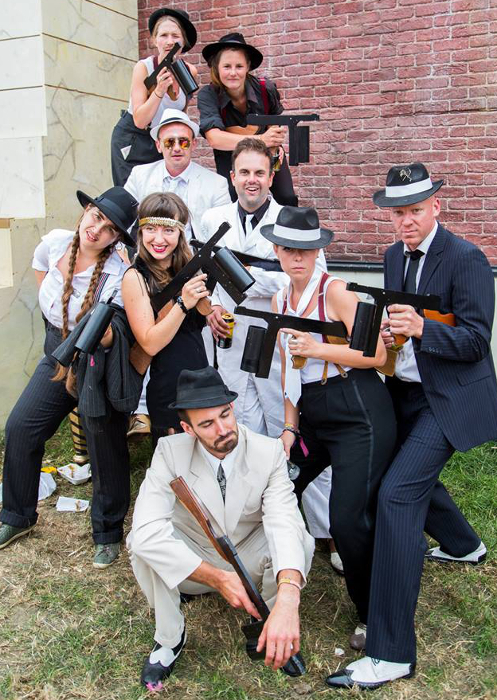 Other than a Bugsy Malone pedal car, what more could you need in order to make your production of Bugsy Malone complete? This pedal powered car prop is designed to be used by children. It can seat one chauffeur upfront and two passengers in the back. It has bicycle pedals which allow it to move, as well as a working horn and lights. It works for either Fat Sam’s or Dandy Dan’s pedal car, as seen in the original Bugsy Malone movie. 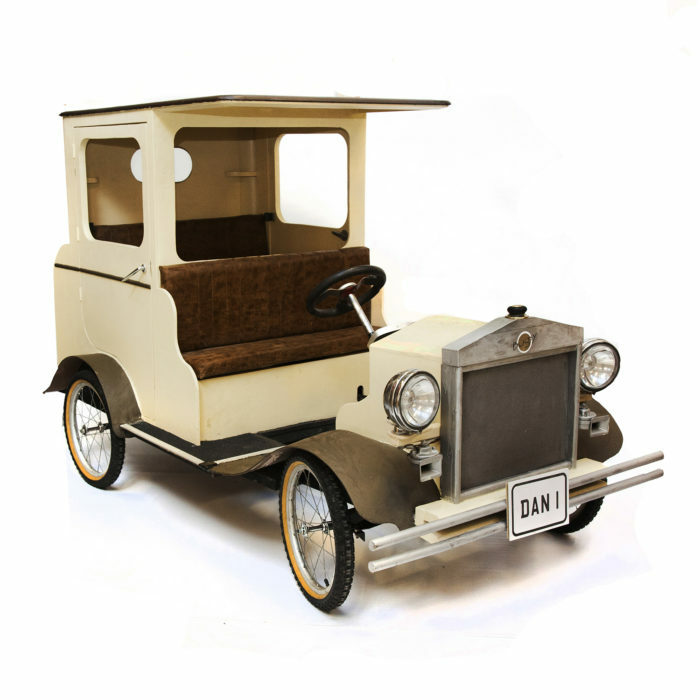 It’s a brilliant little pedal car, and would make any Bugsy Malone production truly memorable. The Bugsy Malone pedal car arrives in its own specially designed bespoke crate which allows for safe transportation and storage. 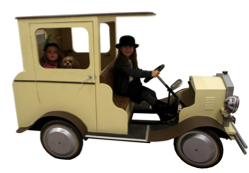 Bugsy Malone car hire starts at £275 per week, plus £120 +VAT each way for pallet delivery and collection within the UK. Please contact us directly if you’d prefer to arrange your own transport for the Bugsy pedal car.